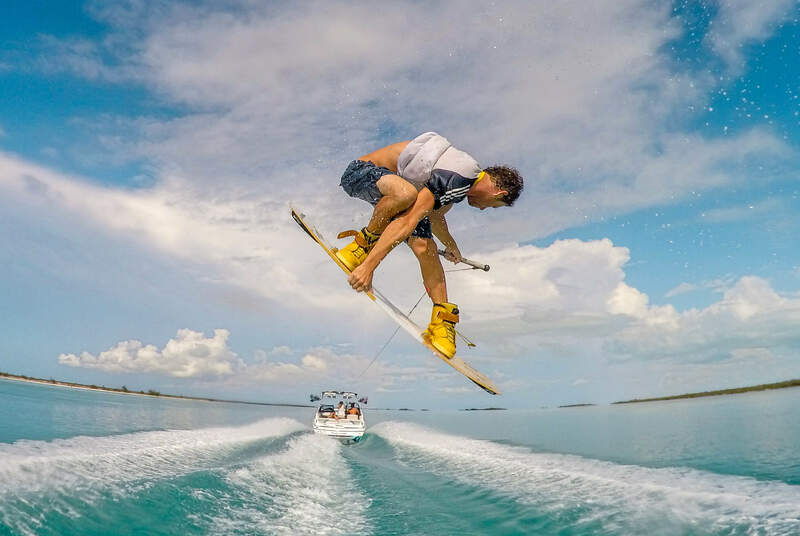 We love wakeboarding and wakeskating here in Turks & Caicos, it’s the reason we started ‘Wake to Wake’ – Our team are all die-hard wakeboarding fans and we want to pass our knowledge on to you! We have combined world-class equipment with one of the best wake boats in the world, all the time riding on the clearest waters in the Caribbean. 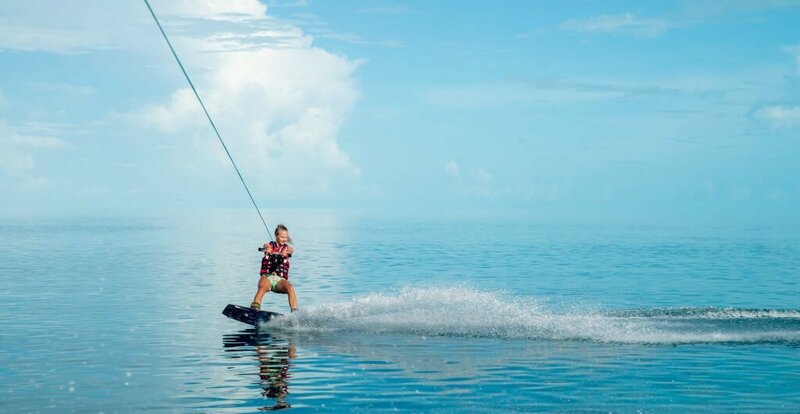 We know all the calmest spots to ensure you have the best wakeboarding experience Turks & Caicos has to offer. Wakeboarding is the ‘snowboarding’ of the water – With the board strapped to your feet we tow beginners around 16mph and more experienced riders around 22mph. Any previous snowboarding, skateboarding or kiteboarding will aid in the learning experience, but it’s by no means a necessity. Our BWSW certified instructors have years of experience teaching all ages/abilities. Whether you’re an absolute beginner or looking for some pointers on landing that elusive backroll, we’re confident you will have an unforgettable day out on the water! We have a large range of equipment supplied by HumanoidWake, a dedicated wakesports manufacturer just across the pond in Orlando. Humanoid make wakeboards by riders for riders, something that is evident the minute you step into our bindings. Our wakeboards range from 115cm (perfect for those lil groms) through to 144cm for the bigger riders! All with Humanoid’s trademark ‘hi-top’ design bindings, which comfortably ease on/off for minimum changeover time. 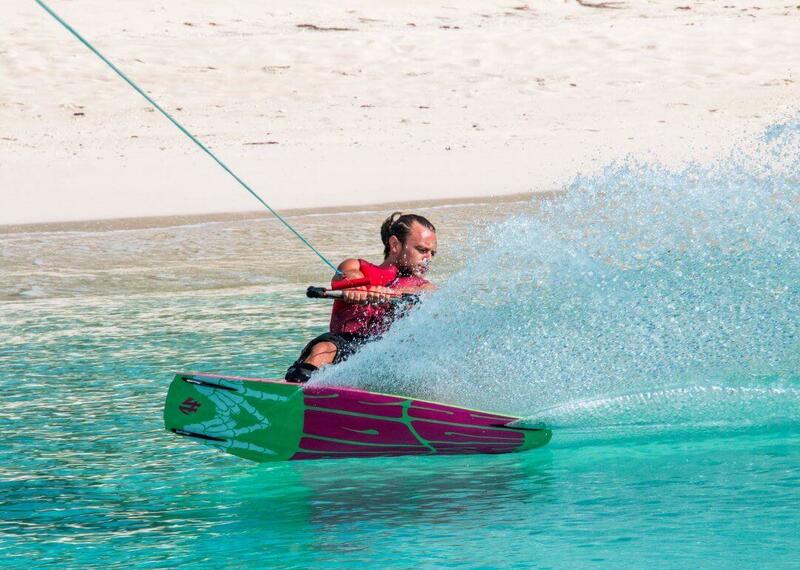 Our boards’ designs allow for great stability and lift out of the water for the first-timers yet still have the speed and pop to keep the best of riders ripping up our massive wake!